In July 2012, scholar, conductor and interdisciplinary artist Carmen-Helena Tellez will join the University of Notre Dame as a professor in the Department of Music and in the Master of Sacred Music program in the Department of Theology. She comes to the College of Arts and Letters from Indiana University Bloomington, where she was the director of graduate choral studies in the Jacobs School of Music, holding the position previously held by noted artist-scholars Julius Herford, George Buelow and Thomas Dunn. There, Tellez taught conducting techniques and mentored graduate students in the analysis and scholarship of choral music. She has also led the Indiana University Contemporary Vocal Ensemble since 1992 and is completing her 20th year as director of Indiana University’s Latin American Music Center, a research institution dedicated to the promotion of Latin American art music. At Notre Dame, Tellez will lead the graduate studio in conducting in addition to pursuing research and teaching. “Carmen-Helena is a renowned specialist in 20th and 21st century choral and choral orchestral sacred repertory, a major growth area for Notre Dame’s new program in sacred music,” notes Margot Fassler, Keough-Hesburgh Professor of Music History and Liturgy and co-director of the Master of Sacred Music program. Tellez’ academic expertise and her skills as a conductor make her an essential partner for Notre Dame’s faculty in sacred music, Fassler adds. An international lecturer on Latin American repertory and interdisciplinary performance, she has contributed to the “Grove Dictionary of Music and Musicians.” Tellez’s work also extends into a real-world exploration and experience of music. “Carmen-Helena has strong artistic relationships with many composers both nationally and internationally, and we look forward to exciting collaborations beginning next fall with composer James MacMillan, who will be in residence in mid September,” says Fassler, adding that Tellez co-commissioned and premiered his composition “Sun Dogs” at Indiana University in 2006. 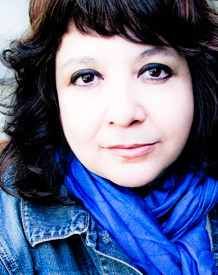 Tellez currently serves as artistic co-director of Aguavá New Music Studio, a group of artists with which she has recorded and toured internationally. Tellez has won support for her academic and performance work through grants and awards from the U.S.-Mexico Fund for Culture, the Rockefeller Foundation, the Lilly Foundation, the Indiana Arts Commission, and the United States Information Agency. After meeting with Fassler and other scholars in the College of Arts and Letters, Tellez says she was impressed by everyone’s commitment to ensuring that scholarship in sacred music and the sacred arts reaches its highest potential at Notre Dame—an effort to which she is now personally dedicated, as well. “Beyond its intrinsic beauty as the vehicle for spiritual expression of the highest order, sacred music is the cradle of the Western art music heritage,” Tellez says. Originally published by Joanna Basile at al.nd.edu on December 15, 2011.